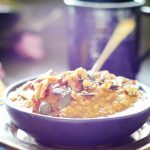 A simple, cozy gluten-free vegan breakfast porridge with spiced pumpkin for chilly autumn mornings. Bring water to a boil in a small saucepan. Add in the porridge grain (and raisins, if using) and cook for 10-12 minutes or according to instructions on package (time will vary depending on the grain you use), stirring occasionally. In the last 2 minutes of cooking, add in all remaining porridge ingredients and stir to combine. Allow to cook for the remaining few minutes to make sure everything is warned through. Add a splash of milk as needed to get it to your favorite consistency (I added maybe 1-2 tbsp to mine). When done cooking, transfer into into a bowl. Sprinkle with nuts and seeds and toppings of choice. 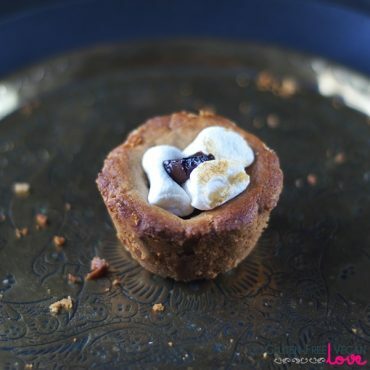 Top with 1 tbsp maple syrup and a drizzle of molasses. Enjoy warm! *If you can’t find pumpkin spice, just use ⅛ tsp cinnamon, dash of nutmeg, dash of allspice, and a dash of cloves instead. Made it this morning after seeing your video :) And it was delicious. Thanks for the idea. I have so much pumpkin on hand, and have been doing so much baking with pumpkin, but I never thought to make a breakfast out of it. I made it with the creamy rice porridge as that’s what I had on hand and it worked great. This sounds just like the perfect autumn snack for me (I prefer porridge as an afternoon snack and not as breakfast)! The pecans and molasses make it so extremely appetizing! This is most definitely top of the “to make list” worthy! Hellooooo breakfast!! Me too, Elle… :) Thank you! I never get tired of all these pumpkin recipes for fall, I just love your pumpkin porridge with pumpkin spice flavors that go with. It gives me a warm and cozy feeling. By the way, your photos are stunning as well! THIS porridge looks INSANELY tasty!!! Plus it looks like you shot the photos really on a beatiful morning! 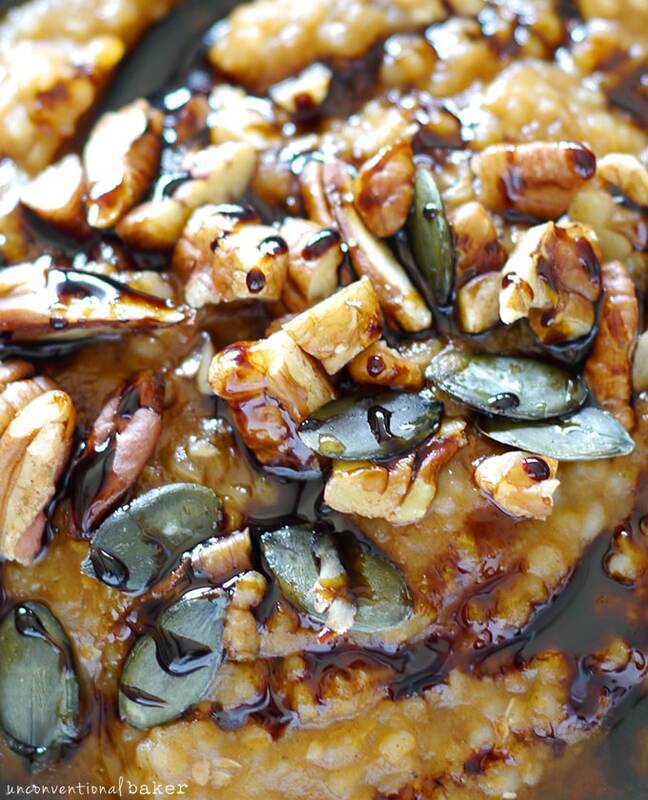 This looks like the ultimate fall time porridge. Love the pumpkin spice flavor you added to it! This looks so warm and comforting Audrey! I love the spices you added and I absolutely love Fall, I just wish it would hurry up and get cold here! 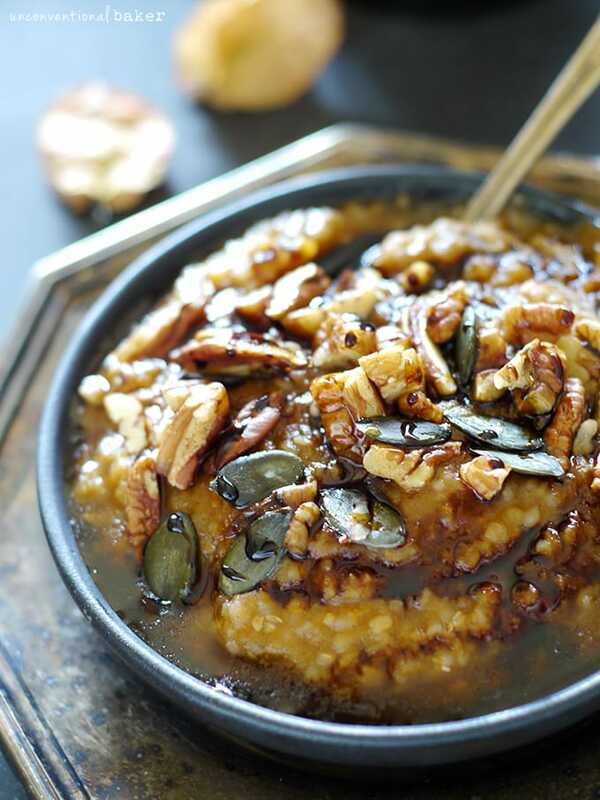 Pumpkin porridge is such a fantastic idea…I’ve only really ever had oatmeal, which is my favorite. Such a pretty color too. Thanks Brandi. You can use oatmeal to dress this up same way too :) I’m usually not that fancy with my porridge, but this was worth a shot and it came out delicious. And I can’t believe it’s still hot where you are. You know I’ve got the wood stove going already! It’s freezing over here this week. 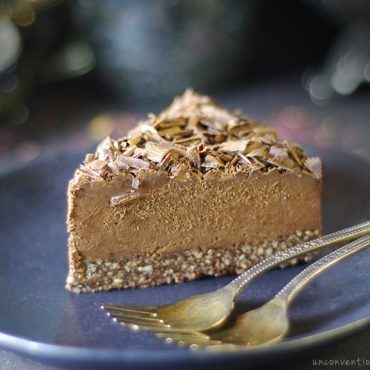 audrey – i love this little witchcraft: ‘a sneaky way to have dessert for breakfast healthily’ ♥ you are so righteous lady and i love this recipe like there’s no tomorrow. it embodies the elements i am feeling outside currently. happy autumn sweet darling. 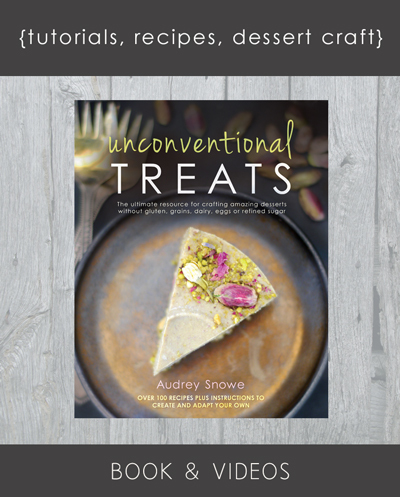 Audrey, this looks amazing!! I so gotta try this! 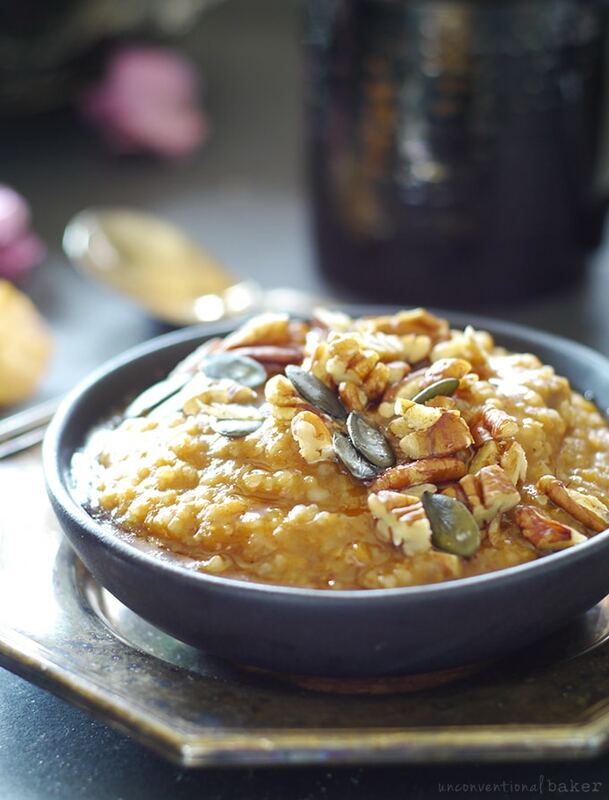 :-) Porridge and pumpkin – what a great combo! Yum! This porridge is everything I love about this time of year :) I will be making this one for sure! Thanks Melissa! So glad you enjoyed it. Your photo on IG looked so yummy! Great filling porrigde to start the day..
Oh, yay, glad it works! I will be making this with oats tomorrow morning. Looks amazing! This porridge sounds so warm, cozy and comforting. And your photos make it look so dreamy! WOW! This porridge looks phenomenal, Audrey. 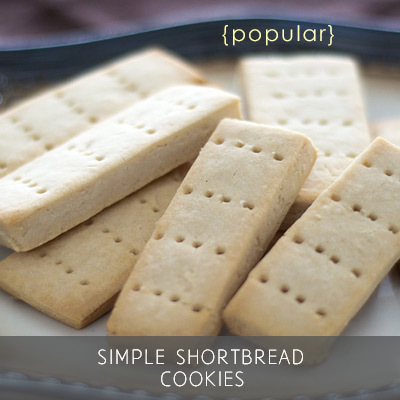 So creamy, classic and delicious. I so want to dive into that gorgeous bowl. YUM! It’s definitely a fast lane to get that pumpkin in :) And agreed on the buckwheat porridge — my favorite! This sounds so warm and cozy Audrey! I’m thinking it’s time to crank my AC and start eating fall because all things pumpkin are just yum! Oh, man, I’ll trade you all the porridge for a bit of heat! I just want to curl up in this cozy bowl! Or yknow eat it. Such beautiful photos as usual! I’m a werido, but every time I see the word porridge it makes my heart swoon, knowing that I’m about to see some creamy, hearty, warm, breakfast love in a bowl <3 This was no exception! 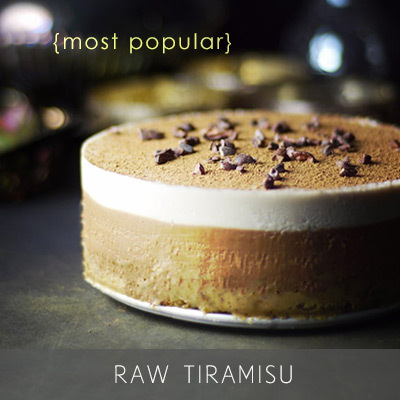 Oh my, this looks so creamy and delicious! What a perfect fall-inspired breakfast! 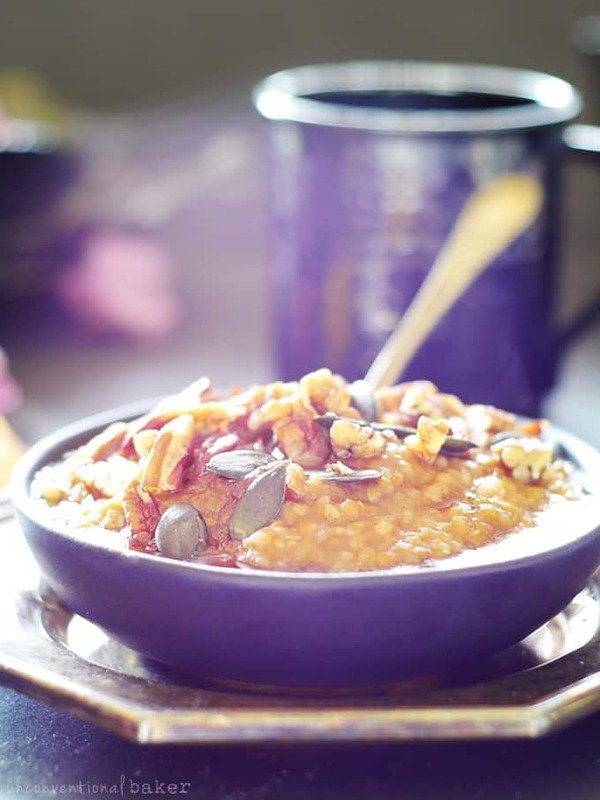 This porridge is beautiful Audrey, and perfect for Autumn! It looks and sounds so comforting. 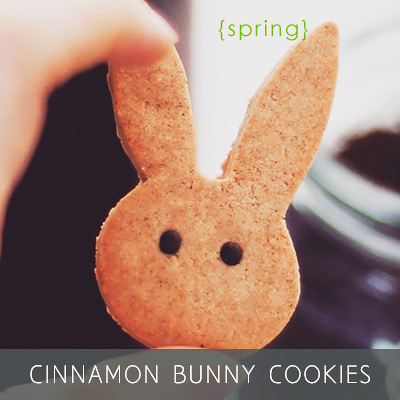 The maple adds the perfect sweetness too. Delicious! Thank you so much, Josie. Enjoy it!